Our service range includes a wide range of epoxy enamel, chemical resistant enamel, high build coal tar epoxy coatings, epoxy finishes, hg cr enamel and jotatemp 650. We are offering Epoxy Enamel to our clients. Recommended for application on suitable primed steel structures exposed to industrial environment of paper and pulp plants, fertilizes, food and pharmaceutical units, etc. We are offering Chemical Resistant Enamel to our clients. 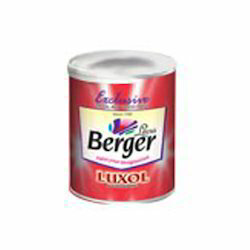 Uses: Recommended for application on suitably primed steel structures exposed to chemical and industrial environment in fertilizer, refineries, petrochemicals, paper and pulp plants, food and pharmaceutical units, etc. Scope: A two pack high performance epoxy top coat having good chemical resistance coupled with decorative appeal. The product possesses good flexibility, adhesion and oil resistance. Theoretical Spreading Rate 3.9-6.2 Sq. Mtr/Ltr. We are offering High Build Coal Tar Epoxy Coatings to our clients. Uses: Recommended for use on structural steel, pipelines and equipment for fertilizers, refineries, chemical and coastal installations. An ideal coating for application on barrage gates and hydro penstocks. Scope:A high solid coal tar epoxy coating with outstanding performance in highly saline, chemical and most severe corrosive environments. The product has superb water resistance properties and is also unaffected by alkalinity or Sulphates in soil water and is suitable for use in conjunction with cathodic protection. We are offering Epoxy Finishes to our clients. Recommended for use on steel structural and tank exterior of fertilizer plants, chemical units, refineries, petrochemicals, power generation units or onshore installation. We are offering HG CR Enamel to our clients. Uses: Recommended for application in refineries, petrochemicals, heavy chemicals, fertilizers and pharmaceutical industries. 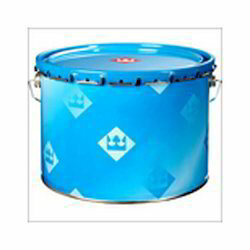 Also suitable for concrete which is subjected to product splashes and spills. Scope : A high performance epoxy coating unaffected by a broad spectrum of corrosive chemical and solvent exposure. It is specifically meant for protection against fumes, dust, splash and spillage. 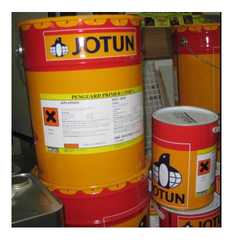 Jotatemp 650 This is a one component inert multipolymeric matrix coating. It is heat resistant. Can be used as primer or finish coat in atmospheric environments. Suitable for properly prepared carbon steel and stainless steel substrates. It can be applied on hot substrates. Looking for Epoxy Enamel ?